I know that some people dread getting socks in their stockings each year. But not me! I love fun socks that make me smile when I put them on. 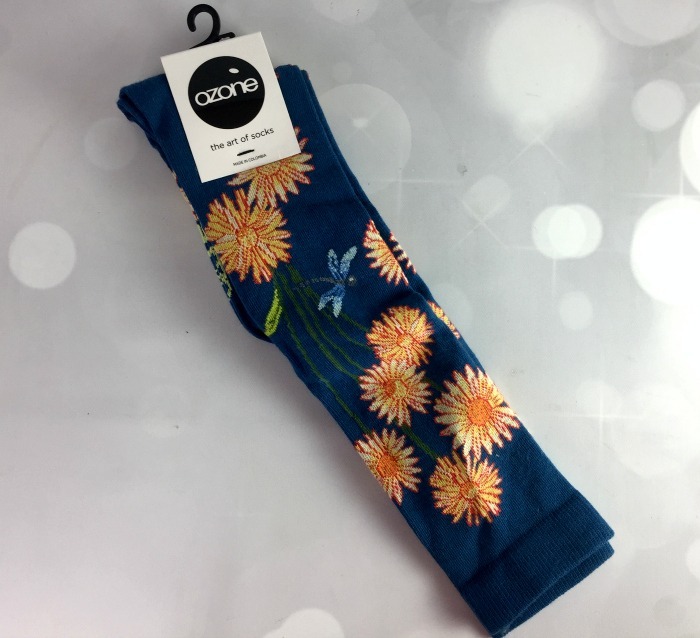 Which is why I was excited to come across Ozone socks. They know that fun designs are the best and offer a great variety of them. Laurie Mallet founded Ozone in 2000 because she believed that socks were one of the only items that had not been touched by fashion. Since then, they have come out with more innovative design concepts than any other sock company in history. 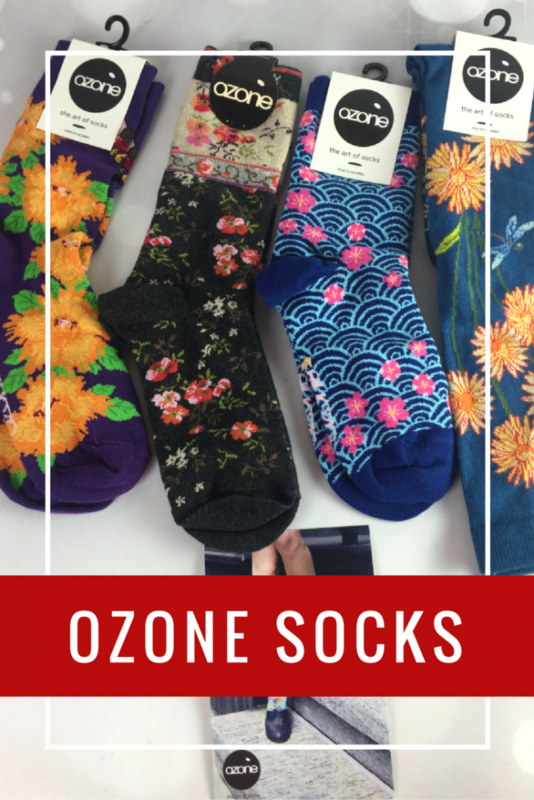 Ozone socks are sold around the globe and through a network of 2,000+ stores in America. 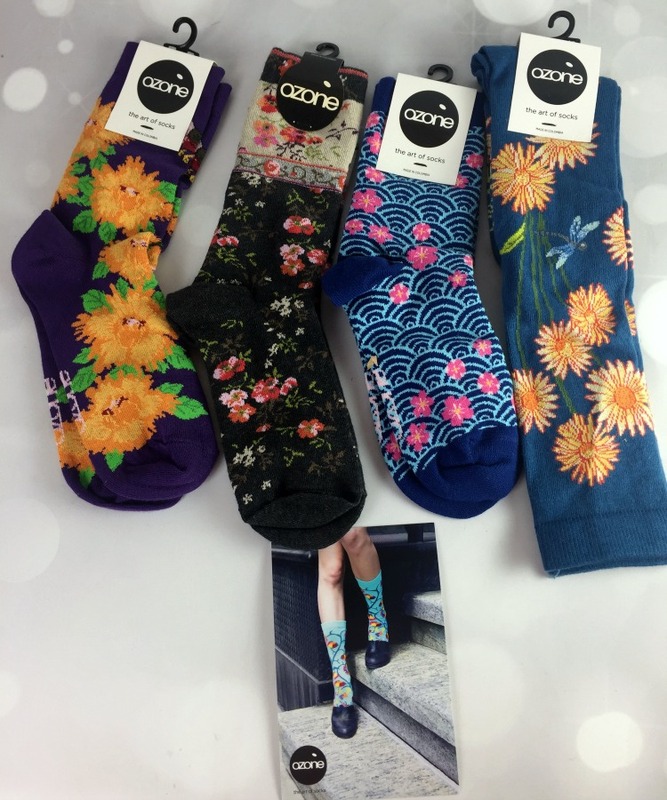 Ozone was kind enough to send me four great pairs of socks that I am excited to show you today. They are all beautiful designs that I love. These are the Mona Linen socks. “The secret behind Mona’s smile? 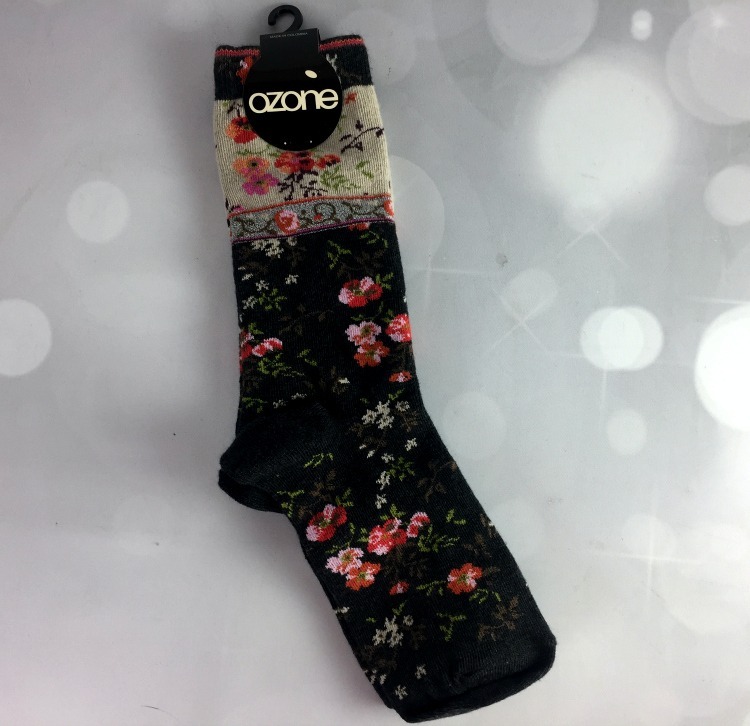 She was crazy for this wildflower patterned sock.” Don’t you just love that description? I love the colors in this pair of Sakura Puddles socks. They are not on Ozone’s website anymore, but these geometric socks may interest you! These Dragonflies and Daises knee high socks are my favorites. I love the bright flowers and the pretty dragonflies. They make me think of spring but keep me warm in winter weather. These are the Birds and Blossoms socks. Unfortunately, I cannot find them on the site anymore, but there are plenty of other floral designs that I am sure you will love. All four pairs of socks that I received from Ozone are super comfortable and soft. I wear them often. They hold up well in the wash, too. 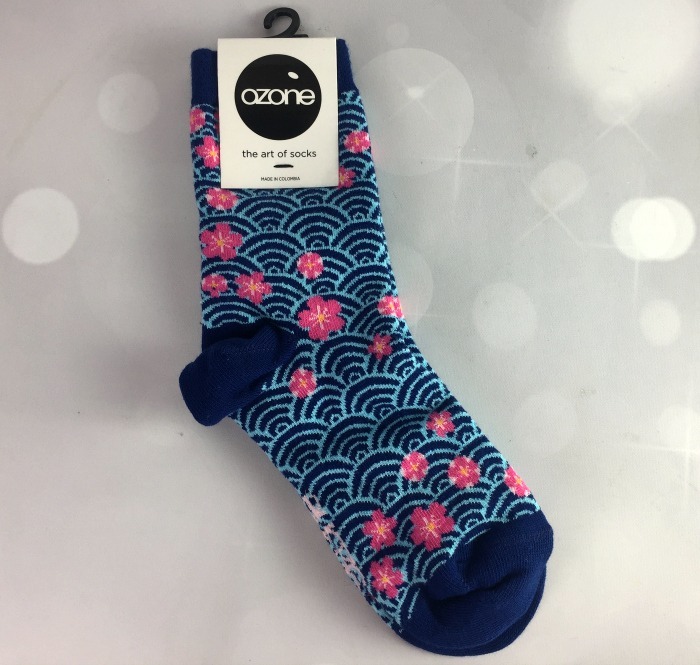 For a fun stocking stuffer, definitely consider Ozone socks. There are socks for both men and women. I love socks and getting new ones – these look amazing! Will have to look into this company. My kids love fun socks! They get at least a pair every Christmas. These socks are very cute and colorful. I to like cool looking socks. Thank you for sharing. 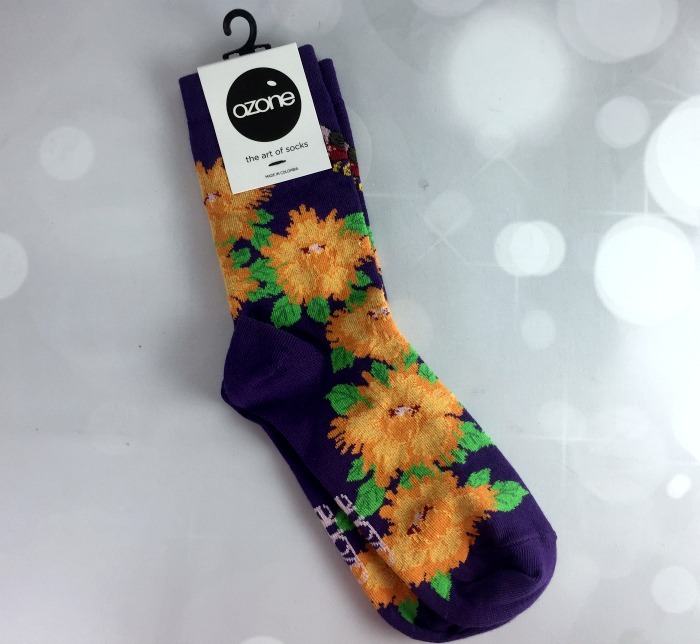 Ozone Socks are so fab!! My granddaughters went crazy over them! These socks look so cute. I always wear socks in the wintertime. These are very colorful.